How To Get Started As A Freelance Writer - Lets Work Online. Many people ask me how they can earn money quickly online. Of course, there are many scams that promise riches in a few hours but these programs should be avoided like the plague. Which leave things like surveys or paid to click sites which in my opinion are both a waste of time. There is affiliate marketing, which is my personal choice but you probably won’t earn anything for at least a few months. So the only other way of making money fast I can suggest is freelancing. In particular, freelance writing. So I asked a self-employed writer to give you a few tips on how to start as a freelance writer. This is his advice. So, What Exactly Drives You To Freelance Writing? Let me guess, you somehow landed on this article hoping to stumble upon some new ways of making money through freelance writing? Well, lucky for you, I have compiled some of the game-changing tips and guides so that you don’t have to make all the mistakes and jump through all the hoops that I went through. Back to our question; What exactly drives you to Freelance Writing? I figured out the best way to help you answer this is by splitting it into the following sub-questions. Is it out of passion, or a need to supplement your daily income? 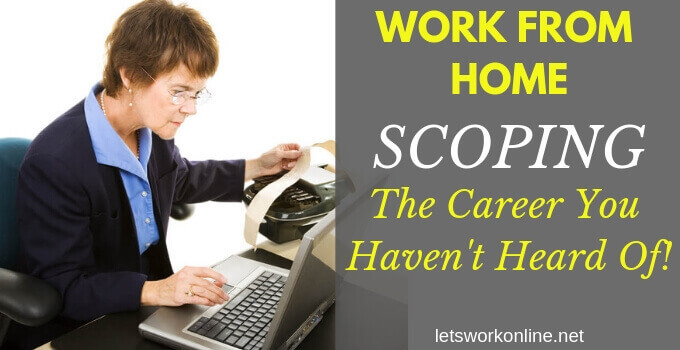 Are you considering making freelance writing your career sometime in the future? Or it’s just a temporary solution to settle some pending bills? If you intend to launch a career out of freelance writing, what is your ultimate goal? How much do you intend to make out of freelance writing? You will agree with me that all the above questions have something to do with setting your freelance writing goals and targets. The idea is to set a path in your freelance writing career. Let me know when you get all the answers to the above key questions, and then we can continue. 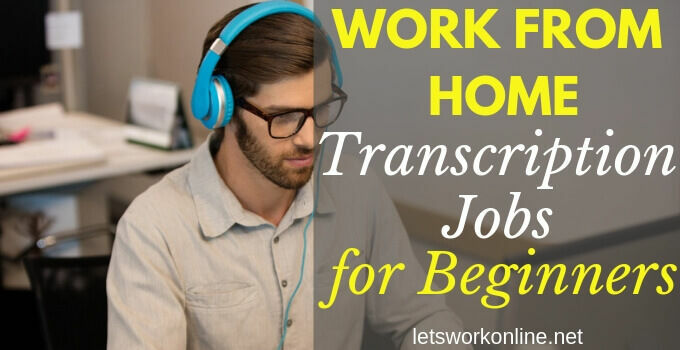 What I am really hoping for: Is that you eventually develop a fully fledged and successful career and make a success out of freelance writing. No matter where you start from, and that you will earn enough money to live on very soon. Success in the online world of freelancing, just like any other business, is preceded by one major personal decision. Dropping the AVERAGE mindset. I will tell you what I tell my students all the time. Until you drop the AVERAGE mindset, your life will always be summed up into a rat race, despite the effort you pump in. Often the difference between a successful person and an average person is that the successful person will focus on self-improvement, solving problems and growth. On the other hand, an average person will be happy with skills he already has and will avoid challenges. So I hope you are ready to acquire news skills and face new challenges! It’s mid-month, your pockets are empty, bills still flowing in, attempts to secure salary advance have failed. You feel trapped, too many days at the end of the money. Then suddenly a bulb lights in your head. “Joe makes some good money writing stuff online, I think I can try that too”. Good idea? Maybe, let’s see. You revive the internet connection on your old PC and head to, you guessed it, Google. “How to make money writing content online”- Punching keys with a lot of determination, “Search”. In about a half a second, the hardworking Google spiders crawl the web and as usual, and present you with hundreds of pages and millions of results. Fifty clicks and lots of coffee later, you have an account with a “freelance writing site”. You give it a try, apply for a few jobs, make a few mistakes, make a few dollars, and maybe cover a quarter of your ever-growing bills. Two weeks later – hurray! It’s the end of the month! And you forget all about the freelance writing account you opened, ditch the $3.47 account balance and you are back to life in the first lane – at least for the following two weeks….and then here comes mid-month, again. What was the name of that freelance writing site again? And the cycle repeats. This, in the world of online freelancing, is what I call a rat race. You keep running in circles with no ultimate future goal or plans. It doesn’t matter whether freelance writing is your part time affair or full-time daily engagement. You need a future plan; a solid online presence; a reputation. I will elaborate on building an online freelancing reputation later. Stay with me. Hangout and interact with some of the already established freelance writers and webmasters for guidance, tips and ideas. There are hundreds of blogs and websites dedicated to helping webmasters, internet marketers, and freelance writers to make money out of the content creation business. Very important. I already mentioned this, but just making sure you don’t forget. Any input in terms of time, effort and resources in this freelance writing game without clearly written goals translates into a rat race. You need small goals that finally aggregate into your major bigger goal given time, effort and focus. Examples of your freelance Writing Career and Business goals could be. Noticed anything? The goals start from a small target, as low as $50/day and increase progressively through other sets of goals and stages to hundredfold ($5, 700). Notice the timelines, a goal without a time tag is not a goal. Ok, you may not earn as much as $5,000/day from your freelance business or build an established site like Upwork within a year and a half, but you get the idea, right? Concentrate on building your online reputation from the very first day, the money will come later. In this article, I will show you a few ways of making a couple of hundreds of dollars per day as a freelance writer. But don’t lose the big picture – the ultimate goal is for you to build a fully fledged successful freelance online career and business, in the scales of www.freelancer.com and www.upwork.com, or even better. Keep your eyes on the antelope, and don’t let squirrels distract you on the way. This applies to almost any business model, not just online freelancing. It is like having a backup plan. If something goes wrong with your primary product or service, you can always fall back to your other secondary products until the dust settles. Additionally, it is always a good idea to cast a wider net, chances of the best performing product or service falling in your category are bigger. In the world of online Freelance Writing, writers specializing in multiple genres of writing earn more and are likely to survive and achieve more than writers who narrow their expertise. If you specialize only in writing product reviews, for instance, it would be a good idea to add other genres like press releases, blog post writing, article editing and re-writing, and so on. The same applies when setting up a freelance writing website, blog or application. You don’t need any special training. The most important thing is to have the courage to expose your writing and you should have the determination to earn money to make this work. You can’t be fired. If a client doesn’t want to collaborate with you anymore, you’ll simply proceed to the next freelancing job. You can become a real expert in a particular area by devoting yourself to freelance writing. Moreover, you can explore multiple interests and improve your set of skills from different aspects! The feeling of getting the job done and receiving payments almost every day is awesome! As a freelancer, your income will depend on your skill, expertise and your ability to market yourself. There are freelancers who are willing to work for just a few dollars per article and others who charge hundreds of dollars per hour. So you can see depending on where you are in this range, you might need to complete loads of jobs to reach $200 per day or just one! 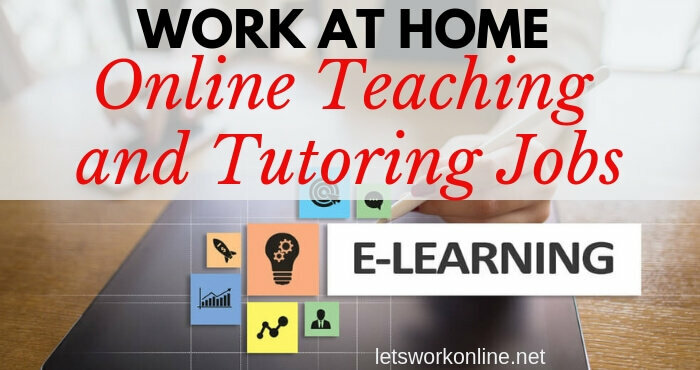 To find work you can sign up for sites like Upwork, iWriter, Fiverr and look at the jobs on the online job boards. Make sure you create outstanding profiles, this brings more credibility. On Upwork complete their skill tests to enhance your profile. Submit an application made for the needs of the job you are applying for. You set and negotiate your own rates. As you build your reputation you will be able to ask for higher fees. According to Upwork, freelancers increase their rates by 60% in the first year and over 3 years by nearly 200%. For iWriter again it’s a question of building your reputation. You need to write as many articles as possible that achieve 5-star ratings. They have different payment levels depending on the number of 5-star reviews you have. When you start it may be good to write short articles (150 to 300 words) to get lots of 5-stars reviews quickly. When you reach their top tier of writers (Elite Plus) your pay is nearly 10 times more than for the bottom tier (Standard). Fiverr is a little different, you set up your service description (gig) and then wait for someone to order your work. Again the more work you do, the more 5-star reviews you get the better. These programs are all about building your reputation. With all these sites you want to aim at becoming one of their elite writers. Once you have satisfied clients they can work with you directly and you can charge higher prices. This makes earning $200 a day very achievable. Language mastery takes time, practice and lots of effort. To be an elite freelance writer means producing consistently high-quality content free from spelling, grammatical and stylistic errors. Low-quality content with spelling errors and poor formatting can impact negatively on the client’s website or blogs. Consequently, clients will rate you low and most likely give negative feedback, again washing down your reputation and negatively impacting your income at the end. For starters, you will need some freelance writing tools to carve your niche. There are hundreds of tools you will discover along the way. But the most important ones you need right now is a dictionary (personally I use WordWeb), spell-checking tools, grammar tools, advanced text editing and proofreading tools. Apart from academic writing, the main reason a client will need content is to market a product, brand, service, event or a name through an online platform. Before embarking on any project as a freelance writer, you first need to understand the objectives, vision and the anticipated ultimate outcome of your clients. Put yourself in their shoes and visualize the expected outcome from their perspective. An elite writer will need to interact with the client more often, understand the project beyond the basic guidelines provided. Suggest new and better ways to improve the project, design marketing strategies and advice around the provided keywords. “Time is money” – goes the timeless old saying. To be honest, freelance writing can be very demanding sometimes, especially during high seasons with every client presenting their own strict and unforgiving deadlines. On a typical day, you may have more than 20 freelance writing projects awaiting your attention. When all is said and done, an elite writer is expected to balance between speed and accuracy such that quality, quantity, relevance and turn-around time is not compromised on the end product. Improving your research and typing speed has more to do with quantity and turn-around. On the other hand, a little more effort on accuracy goes way long to eliminate spelling, grammatical, and stylistic errors as well as improving general formatting and quality of your content. Below are a few tips on how you can improve your speed while still maintaining top accuracy and quality standards. Take a typing speed course. This is the easiest and direct way to improve your typing speed. Take a short course in speed typing either online or from a nearby college offering computer packaged courses. Practice typing as often as possible. This will help you familiarize with the keyboard layout. There are lots of free typing games and software you can freely download online. This will make your learning more fun and interactive. Type using both hands, without looking at the keyboard. This might prove a bit tricky at the beginning, but with the right resources, some practice, and patience, you should be able to hack it within a month or two. Make yourself comfortable. If you are going to spend lots of time in front of your PC researching, creating content and tackling long-hour projects then you need to make a few changes on your sitting arrangement. You will need a chair whose height and dimensions allow you to; sit up straight with your feet flat on the ground, your elbows close to your body, your wrist straight, and your forearms level. Changing positions can also be good, you might consider a standing desk once you’re making money. Learn how to do a targeted internet research. The internet has millions of websites and billions of pages all searchable and accessible depending on what your query in a search engine. Learn how to customize your search engine and search queries, as well as choosing the type of keywords to be used. Always use short and straight to the point search queries. This will save you lots of time which you can then use to process, synthesize and format the gathered information. Always proofread, twice. It may sound pretty obvious but most writers tend to ignore this final step or do it rather casually. A very high-quality article with rich informative content may be easily watered down by a mere typo, spelling error, poor formatting or even a misplaced comma. Always set aside some good time for double-checking and keenly proofreading your content to professional standards before submitting it to any client. Bonus Tip. Always proofread and edit your content when you are most relaxed, fresh in mind and least fatigued. It helps to take at least a short break between writing your first draft and editing your final piece. When it comes to retaining visitors on online platforms, the relevance of the content is everything. With so many alternative sources of information available on the internet, webmasters only have about 5 seconds to prove to their visitors that they have got what visitors are looking for. So if someone searching for stuff typed something like “How to make money writing web content”. Your content needs to be talking exactly about that and straight to the point when they land on that page, no bluff. This means that as a writer, you need to understand not just what your client wants, but who your client’s clients are, and exactly what they are hoping to find when they go through the requested articles. Having that in mind, you then need to follow all the instructions as offered by the client. This will ensure that you always get good ratings and return clients which will revitalize your confidence and improve work quality. Freelance writing in most cases will be based on instructions provided by your client. So you will almost always have a guide to go by. Elite writers are however separated from beginner writers by how much creativity they throw in the project. This includes how you structure your articles; use of short sentences, short paragraphs, graphical instructions, playful words, bullet points, attention-grabbing titles, subheadings, tonal variations and humor are just but a few gems you can throw in, to separate yourself from ordinary writers. You can’t run away from this. Knowing how and where to get information while researching for an assignment is one of the elements that will set you aside as an authoritative freelance writer. Clients value in-depth research and unique content that will authoritatively place them on top of their industries’ food chain. 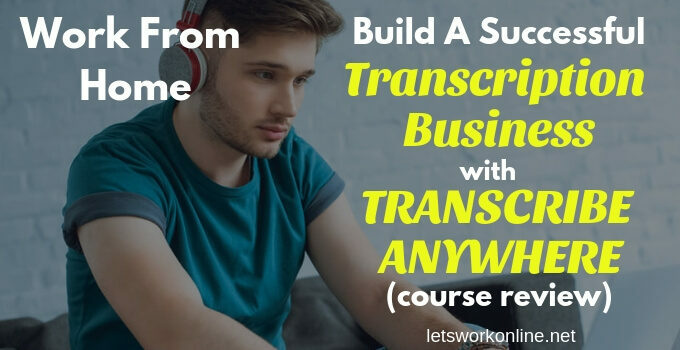 If you are able to provide this with a fair amount of consistency then you are definitely in the direct course of success in the freelance writing industry. Before accepting any freelance assignment, make sure you either have enough information or know where to get it with ease. Ensure that you can handle the assignment within the stipulated time; otherwise, ask for more time to be able to find all the information you need. If dealing with specific niches, it helps to have a number of specific authoritative information sources at hand. These could be blogs, websites, papers, forums, or journals which you always refer to before exploring other alternatives. I hope this thorough guide to freelance writing will set you on the right path of your online career. However, do not stop here. 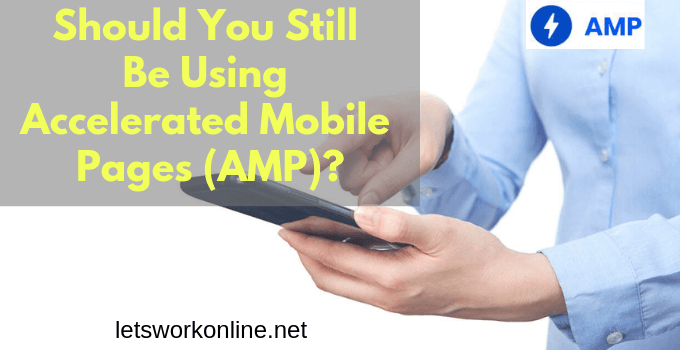 Keep updating yourself with other developments, technologies and skills in your particular niche of freelance writing to stay relevant and increase your earnings. Remember, set your goals and keep your eyes on the price, always. Freelancing isn’t the only way to earn money online. As I said in the introduction affiliate marketing is my recommended method. The truth is, setting up a website, writing articles, getting traffic and achieving good rankings in Google takes time. And then you need to convert that traffic! 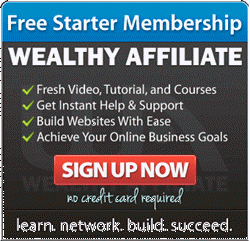 I earn some good revenue from affiliate marketing but most people seem to need or want earnings right away. It’s much easier to achieve an online income, quickly with freelance writing. So if you need some quick money try freelance writing. 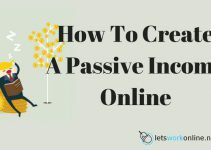 Or if you have the time to build a passive income over a number of months learn how to become an affiliate marketer. 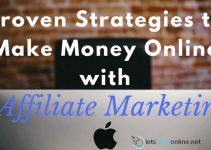 Over time, you could probably earn more with affiliate marketing but most of all you don’t have the hassle of finding and dealing with clients. Get The Training and Support You Need. Read More Here! I just wanted to say this info was very interesting and gave me a lot of insight on what to write about and I have to decide where. and I just want to make a little extra money for myself. Thank u.
P.S. I just need to know how to get started. Glad the article was useful to you, Marie. There are many blog posts online from freelancers sharing their experiences and giving advice, so read and learn. I was just dropping by and I did enjoy reading your article about freelancing. I did try joining one website about free-lancing and I did make few bucks. Unfortunately, there are a lot of competitions which make it quite harder for me to persuade other clients accepting me. You definitely need some qualities and skills in order to be a successful freelancer. I look forward to visits your blog again. Nothing is easy these days and the cheap competition is one of the problems when freelancing. It takes time to build your reputation but it can definitely be done with a little perseverance and hard work. I see you made a few bucks which should encourage others who need some money quite quickly to give this a try.